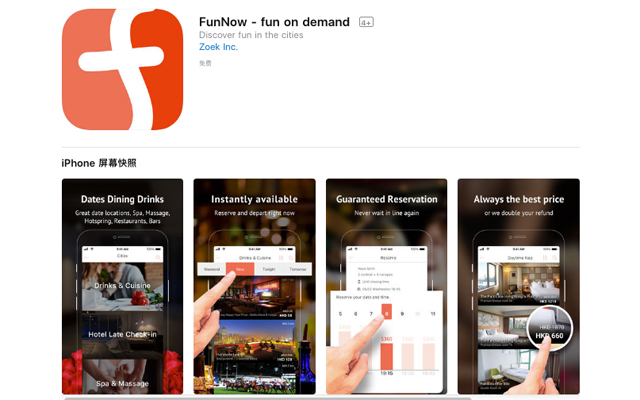 FunNow, an instant booking app for activities in Taiwan, has raised US$5 million in a Series A funding round led by Alibaba Entrepreneur Fund, with plans to use the proceeds to expand to cities in South-east and North Asia. Existing investor Taipei-based CDIB Innovation Accelerator Fund as well as new investors Darwin Venture and Accuvest also participated in the round. Together with the US$1.5 million raised in a pre-Series A funding last July, this investment brings FunNow’s total to US$6.5 million. The startup plans to use the funding to expand and accelerate its business to Asian cities, including Hong Kong, Okinawa, Kuala Lumpur, Bangkok, Bali, Osaka and Tokyo, according to an e27 report. TechCrunch reported that Alibaba made the investment through its startup fund amid efforts to beef up its online-to-offline offerings and capture share in China from Meituan-Dianping, which is going public in Hong Kong. Launched in November 2015, FunNow allows users to instantly book activities including short getaways to neighbouring cities and massages. Its search engine and patented algorithm of real-time availability calculation, combined with geolocation technology, allows customers to view available activities within their perimeter almost instantly. In the last two years, FunNow says it has signed over 3,000 selective vendors, providing more than 20,000 activities and services daily for its 500,000 members to book instantly. The firm expects its 2018 revenue to reach US$16 million, triple that of 2017.